In June I was diagnosed with Lung and Bone Cancer. In August I decided it was best to retire and focus on my health. In was important to me to be able to transfer my practice to an experienced colleague. Fortunately, Miranda Taylor, whom I have known for a number of years, agreed to take over Jade River Acupuncture. Miranda and I met in Acupuncture, and coincidentally further our studies under the same master, Dr. Richard Teh-Fu Tan, OMD, EAMP, L.Ac., who taught the Balance Method of Acupuncture. 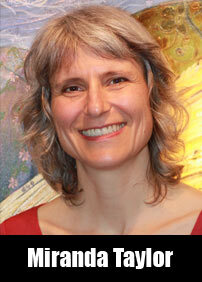 Miranda has been a practicing acupuncturist for the past 13 years, specializing in pain management. She will be working in the Federal Way office two days per week (Tuesday and Thursdays). I will remain as consultant to Miranda until end of October, if she should have any questions regarding your treatments. You can read more about Miranda on her website: www.HighPointHealthSeattle.com and you can also keep abreast of things at facebook.com/JadeRiverAcupuncture And to schedule an appointment with Miranda call 206-932-4371. I know that you will enjoy working with Miranda. She enjoys treating complex cases and has rarely seen a headache/migraine, a cough, a leg – back – shoulder – hip pain that she could not relieve. I am confident that Miranda will take good care of you. Thank you for the opportunity to work with you on your health concerns, it was my pleasure to serve you. I hope you will understand the need for this change and that you will give Miranda Taylor your full support. Call Miranda today to a schedule appointment 206-932-4371.